Photo of Lake Huron by Rachel Drury. An emergency is any situation that requires immediate assistance from the police , fire department or ambulance. When these emergencies arise, we call “911” with the expectation that help will come quickly. Sometimes, there is a failure in the system and help is delayed to the peril of the caller. However, where do we turn when everything is falling apart in our life? God has provided a “911” number for us to call. 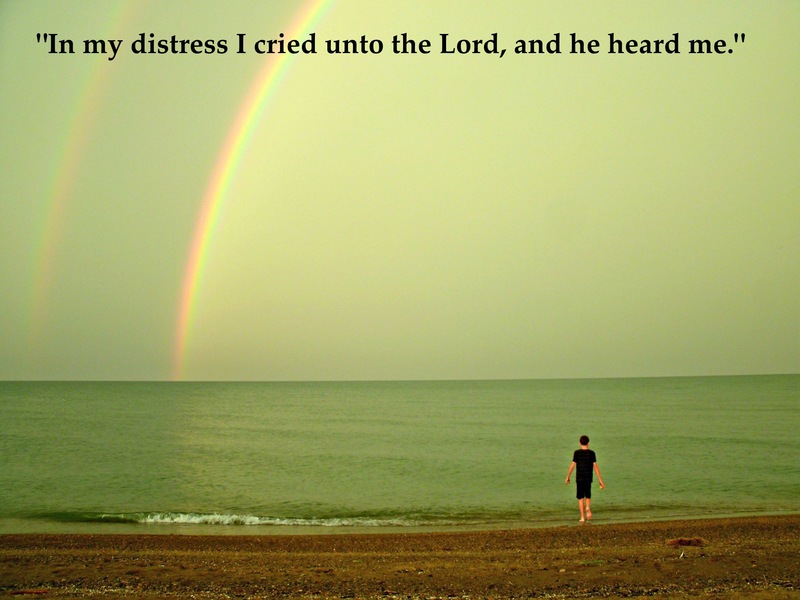 Psalm 120:1 says: “In my distress I cried unto the LORD, and he heard me.” Yes, God is always available to accept our call. There are no delays. There is no indecision. God is ready and able to help us when we are in distress. Let’s take a closer look at how God’s “911” works in our lives. 1. The cause of our cry– Life can become overwhelming at times. We feel that we are drowning in the midst of our very difficult circumstances. We do not know what to do. We feel helpless. There is no human resource that seems to help. We wonder where is God in all of this. We realize that the only hope we have is to cry out to God in faith. 2. The content of our cry– Crying out to God means that we are desperate. Our cry reflects total dependence upon God. Our cry says that we surrender the control of our life to Him. Our cry says that we have faith that God alone will know what to do in the midst of our distress. 3. The object of our cry– We often pour our hearts out to others. Sometimes, we keep everything to our selves. However, God alone is able to handle our situation when everything seems to be falling apart. We cry to Him because of who He is. He is all-wise. He is all-powerful. He is love. He is merciful. Yes, God alone is the one to whom we should cry when there is no place to turn. When we dial God’s “911”, we will receive help, strength, guidance, and hope in the midst of our difficult situation. In life’s emergencies, don’t forget to call God’s 911. He is waiting for our call.